Newbury Living manages more than 50 apartment communities throughout Iowa and one in Southern Minnesota. 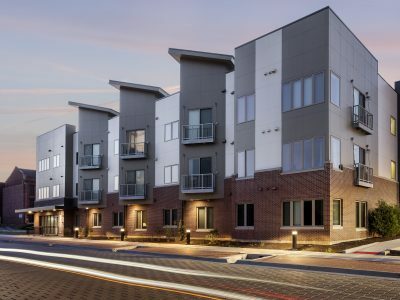 A large portion of our firm’s business and expertise lies in managing, refinancing, renovating and repositioning affordable housing communities, however, our portfolio is quite diverse including commercial property and luxury rentals. Our company is led by Frank Levy, whose father, Jim Levy, infused our culture with his passion for real estate development and the commitment to providing exceptional value. Jim entered the real estate business on the east coast in 1960, relocating to Iowa in 1973. About one-third of the properties Newbury oversees were originally developed and built by Jim Levy and Robert Malone between 1975 and 1987. Jim formed Newbury in 1987 as a development company and over the course of the next 20 years created numerous places for people to call home. Today, Newbury Management Company’s primary focus is building or acquiring, renovating, and managing multifamily housing properties. 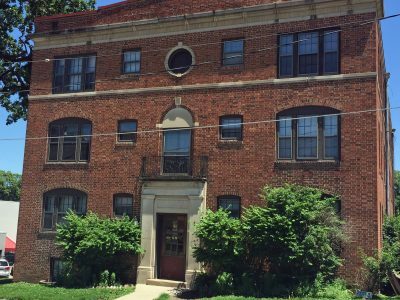 Currently Newbury manages nearly 3,000 apartment homes. Newbury is a licensed Real Estate Brokerage in the state of Iowa. Historic renovation of a vintage (ca. 1920) building that is centrally located between Grand and Ingersoll near Downtown Des Moines. The building itself has a attractive brick exterior, as well as original tile and woodwork in the entries. Renovations were financed by the Polk County Housing Trust Fund. New construction of 2 separate buildings to complete the Ingersoll Square campus. The first phase had been previously constructed, but with a drastic market shift in 2008, construction stalled. 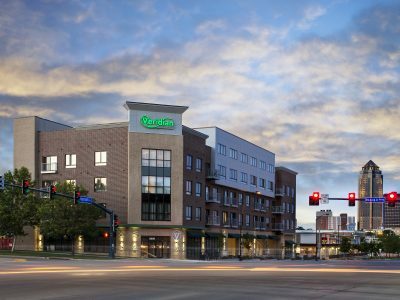 In partnership with the current owner, Community Development Block Grant funding was secured from the City of Des Moines to complete phase 2 of the development, doubling the building’s footprint. A mixed-use third phase was made possible by HOME funds to complete the campus. Newbury’s interest in Ingersoll Square was sold in 2017, but we’re still quite proud of the accomplishment and the stunning results of the partnership. Newbury’s second venture with the Oakridge Neighborhood association was the new construction of Silver Oaks, a 39-unit, affordable senior building. The building houses a classroom for the Oak Academy, fostering multi-generational education opportunities. Funding for the construction was through a Low Income Housing Tax Credit (LIHTC) award from the State of Iowa. A renovation of an existing, affordable senior property already in Newbury’s portfolio. 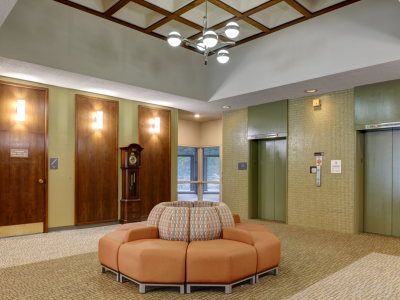 Both interiors and exteriors were refreshed, and a spacious community center was added. Housing and Urban Development (HUD) tenant subsidies were retained for all residents. Renovations were possible due to funding awards from Low Income Housing Tax Credit (LIHTC) and HOME awards from the State of Iowa. Cosmetic renovations and additions to the former Mercy Court campus, located in Downtown Des Moines. Renovations include the addition of classrooms, a large community area with spacious kitchen and fitness center. Residents must be students to qualify for some, but not all apartments. New construction of 24 loft-style apartments in Downtown Davenport, Iowa. Development of the long-time vacant lot was essential to promoting the further development of downtown Davenport. Funding for the construction was through HOME and Community Development Block Grant (CDBG) awards from the city of Davenport. Complete building overhaul on an existing building from Newbury’s portfolio, located in Des Moines, Iowa. Corinthian Gardens’ original funding through the Department of Housing and Urban Development (HUD) was retained, ensuring affordability for all residents. 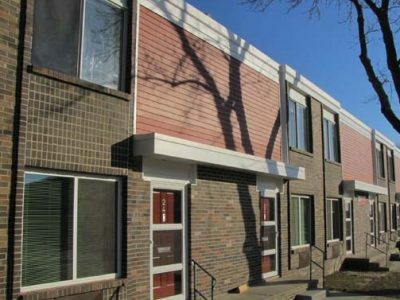 Funding for the upgrades was through a Low Income Housing Tax Credit (LIHTC) award from the State of Iowa. A very logistically challenging complete renovation of 150 apartments which are in a high-rise building perched atop a 9-story parking garage. Much of the renovation was done leaving residents in place. Existing Housing and Urban Development (HUD) tenant subsidies were retained. 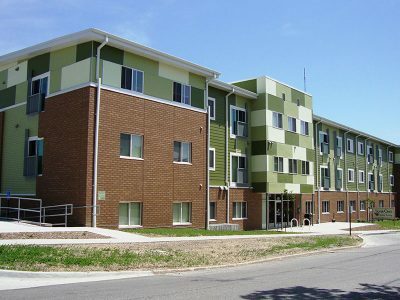 Funding for the construction was through Low Income Housing Tax Credit (LIHTC) funds awarded from the State of Iowa. An in-depth renovation of an existing affordable property within Newbury’s portfolio. All apartments and buildings were renovated inside and out, and a community center was added. Housing and Urban Development (HUD) funding in-place was retained, meaning affordability was kept for all residents. 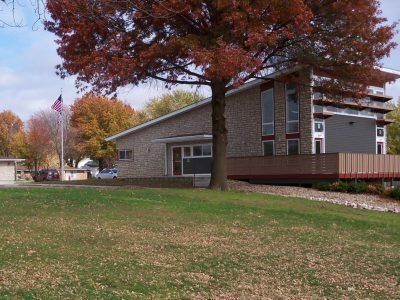 Financing was provided by a Low Income Housing Tax Credit (LIHTC) award and a Community Development Block Grant (CDBG), both from the State of Iowa. 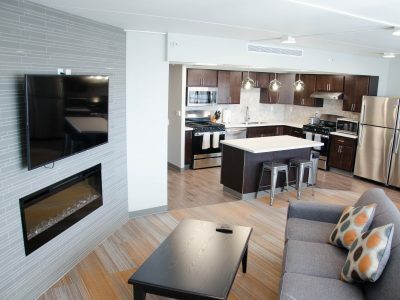 A complete renovation and retrofit of a high-rise apartment building in Downtown Des Moines. 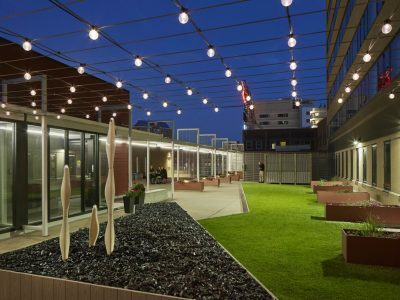 The renovation included all of the apartment interiors, common areas and office areas, as well as the addition of a 3rd elevator shaft that had to be cut into the side of a 17-story building. Existing funding from the Department of Housing and Urban Development (HUD) was retained for all residents. 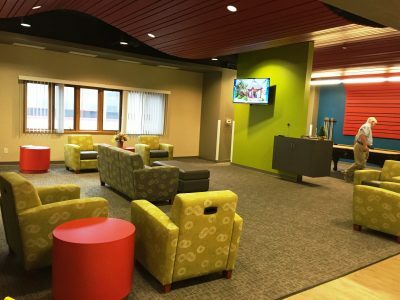 Awards of HOME and Low Income Housing Tax Credit (LIHTC) financing from the State of Iowa made the renovations and upgrades possible. Full restoration of a high rise apartment building that is on the National Register of Historic Places. It was built in the mid-1960’s using multiple cutting-age construction technologies for the time, and these techniques were used in an architecturally significant way. Historic tax credits were awarded by the State of Iowa so that the restorations could be performed and the building restored to its former, historically accurate appearance, while adding modern creature comforts. Full interior and exterior renovation and repositioning of 15 single-story 4- and 6-plex buildings, as well as the addition of a beautiful new community center. The rehab project was completed while working in tandem with another management company who was performing day-to-day operations at the time. 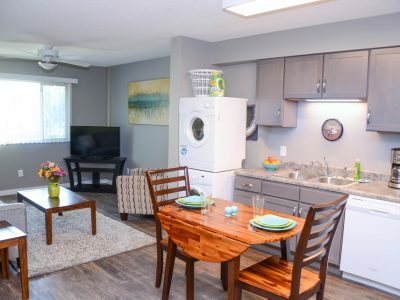 Housing and Urban Development (HUD) funding was retained for those units already receiving it, while Low Income Housing Tax Credit (LIHTC) and HOME funding was awarded by the State of Iowa and both were used for the renovations. New construction of 36 affordable, 2bedroom/1bath, senior apartments in Perry, Iowa. The building occupies the former site of Perry’s old High School, which had been demolished. 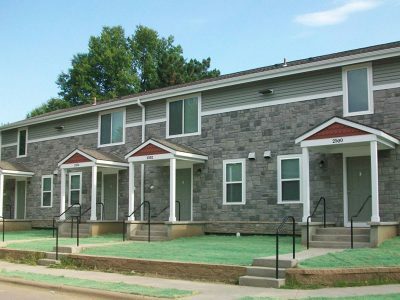 Funding for the construction was through Low Income Housing Tax Credit (LIHTC) funds awarded from the State of Iowa. Full renovation of a property already within Newbury’s portfolio. 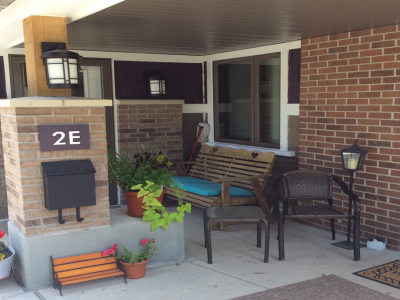 The residents at the 4-plex style senior property retained their USDA rental subsidy while a Low Income Housing Tax Credit (LIHTC) award from the State of Iowa allowed for the renovations. Newbury acquired a failed condominium venture with a Homeowners Association in place. Of the 96 total units, 48 had been converted into condominium units operating under an HOA, and 48 units had been sitting vacant for about 5 years. 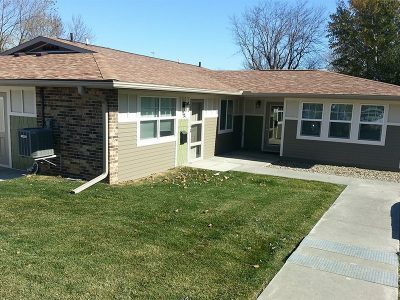 With Low Income Housing Tax Credit and HOME awards from the State of Iowa, Newbury was able to begin and complete full renovations on the remaining 48 units, and have them all leased in 9 months. A cooperative undertaking with the Oakridge Neighborhood Association to renovate all of the Homes of Oakridge’s 300 units. 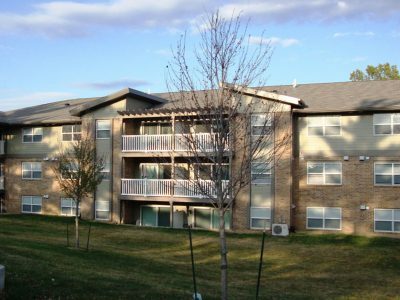 All residents were relocated off of the property while renovations were underway, and then brought back to newly renovated units. The Homes of Oakridge managed day-to-day property operations throughout the renovations. Housing and Urban Development (HUD) tenant subsidies were retained. 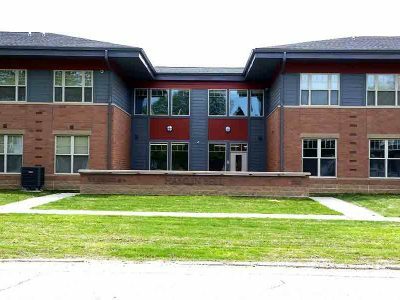 Funding for the renovation was through a Low Income Housing Tax Credit (LIHTC) award from the State of Iowa.